•	3 B/R W/Board Home set on 860m2 block. •	House has been re-stumped. •	Bedroom 2 has ceiling fan and B/I Robe. •	Master bedroom is of very large size. •	Spacious lounge with ceiling fan. •	Functional kitchen that has not yet been renovated with Raw floor boards, Electric upright stove, with pantry and plenty of cupboards. •	This home features 2 bathrooms, 1st Bathroom with vanity, toilet & shower, 2nd Bathroom vanity, toilet & shower. •	New Ducted Gas Heating & New Evaporative A/Conditioning. •	New carpet & vinyl in bedrooms, hallway and lounge area, along with new double Holland blinds. •	Sunroom area and separate renovated laundry area. •	Additional large living area at the rear of the home could be a large bedroom or 2nd living area. This room features T.V. points, Raw floor boards and sliding glass door to outdoor area. •	Brand new instant gas hot water unit. 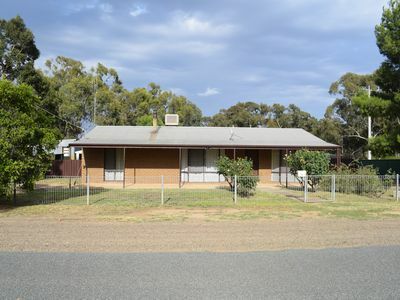 •	Spacious front yard, rear back yard with double access gates and colorbond garden shed. Set in a prime location in Rochester, here is a great opportunity to purchase a home that has had a lot of the hard, expensive work done. The home has been re-stumped and comfort is assured with new ducted evaporative cooling system, new gas hot water system, new blinds and carpets in the renovated areas. This home is deceivingly large and offers plenty of space and comfort that will appeal to all members of the family. 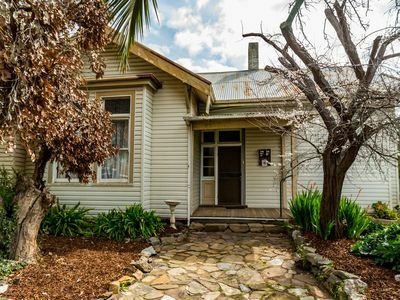 With the bathrooms and kitchen still to be renovated here is a perfect opportunity to transform the rest of this residence with your own personal touch. You need to inspect this lovely home to fully appreciate all it has to offer. Because once you step inside you will be surprised! !